I had never heard of buttermilk pie until a recent visit with friends in Texas. I've since learned that this is a popular dessert in the southern U.S. The pie has a custard-like texture and a light, sweet flavor. The basic buttermilk pie is made with eggs, sugar, flour, vanilla, butter, and, of course, buttermilk. Some recipes include a little lemon juice, lemon zest, or both, and some add nutmeg. Some suggest topping the pie with fruit, nuts, or powdered sugar. 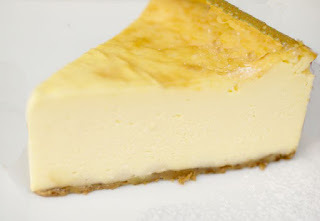 While nearly all the recipes call for pie crust (it is a pie, after all), it is also possible to just make it as a custard without the crust. In any case, it's fine to buy a prepared pie crust instead of making your own. The recipe at the Cooking Channel uses less sugar than most - just one cup instead of the usual 1 1/2 (or more). The recipe at Allrecipes.com is the one I'm using (minus the nutmeg). It has all the right ingredients and is very easy to make.